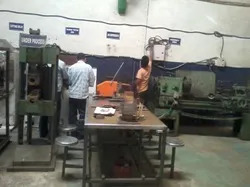 Established in the year 2007, "Advance Control & Automation" is engaged in Manufacturing, Trading and Wholesaling of Welding Machine, Welding Controller, Force Gauge, Copper Flexible Busbar, Welding Electrodes, Spot Welding Gun and much more. 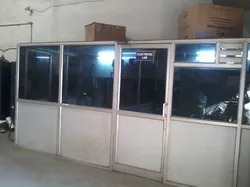 These products are extremely admired in the industry owing to their characteristics and low prices. We deal in "Forwel", "Miyachi" and in our own brand "Advance". Under the leadership of our mentor Mr. Pawan Kulshrestha, we are providing top quality of products. Owing to his commerce experience and deep commerce skill, we have achieved the success in this area in proficient way. 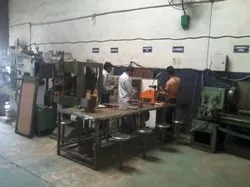 Ours is a quality-conscious organization, engaged in manufacturing and supplying Welding Machines, Welding Controllers and Weld Current Monitors. We follow stringent quality management system, which enables us to meet the highest benchmarks of quality. 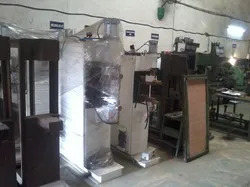 To offer our clients with flawless range of products, we ensure to check the entire range on various parameters, which is done by our team of quality controllers. Owing to this, we have gained huge client-base across the nationwide market. Veegee Industrial Enterprises PVT. LTD.
Venus Industrial Corporation PVT. LTD.
Neumann Engg. Works PVT. LTD.